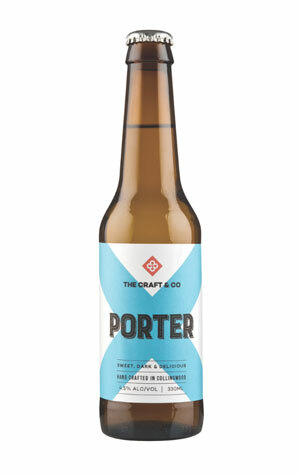 A classic style traditionally associated with England’s working class, The Craft & Co’s porter pours a deep black with a clear aroma of chocolate and some light notes of aniseed. Those aromas are met by a rich and smooth texture and flavours that are driven by the beer’s dark malt profile. This includes classic notes of chocolate and coffee that match with nutty undertones and some sweetness. As it warms up, that chocolate sweetness develops and flavours of berry or blackcurrant – similar to black forest chocolate – start to poke through.